All Surface Civil & Mining Pty Ltd is a Brisbane and Mackay based company servicing the mining, civil construction and gas industries within Queensland. With extensive experience in all areas of earth moving, we have the knowledge, capability and reliability to get your job done right the first time. Specialists in final trim excavation, rail maintenance & construction, pipeline construction, road construction, storm water & drainage. 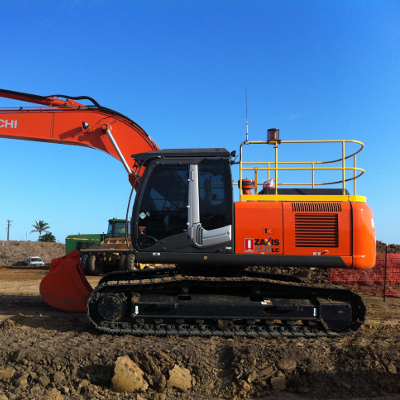 We will provide quality machinery with experienced operators to complete even the most complex projects with ease. All Surface Civil pride themselves on delivering quality projects with safety a main priority. Our earth moving machines make light work of the most demanding requirements and conditions. Our equipment fleet includes Track loader, Graders, prime movers & low loader, and a range of Excavators from 6 to 35 Tonne. 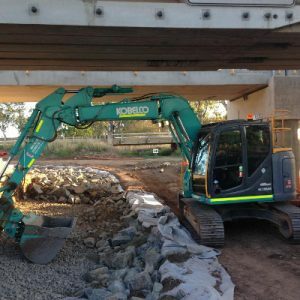 When you work with All Surface Civil you are getting experienced civil contractors that have worked with clients such as Lend Lease, Golding, Aurizon, ABI Group, Mainteck and many others. 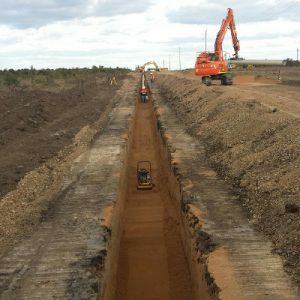 Some of our projects include environmental repair work, bulk earthworks, final trim excavation, road construction, pipe construction, mast foundations and the use of machine guidance systems. 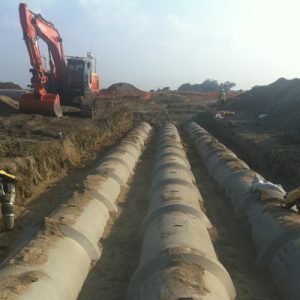 To view a full list of our recent projects and clients visit civil projects. For advice on your next domestic, commercial or industrial excavation or drainage project contact the friendly staff at All Surface Civil and Mining. We offer competitive prices, qualified staff and superior quality equipment for all types of civil and mining construction needs.